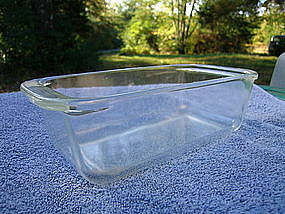 Vintage loaf pan marked as 213 Pyrex 1 1/2 quart AA-2. It was manufactured before microwave days. There are no chips, cracks, breaks or rough rims, but does have superficial usage marks. I need your zip code to calculate the postage.